Length: 14 miles (22.7km). 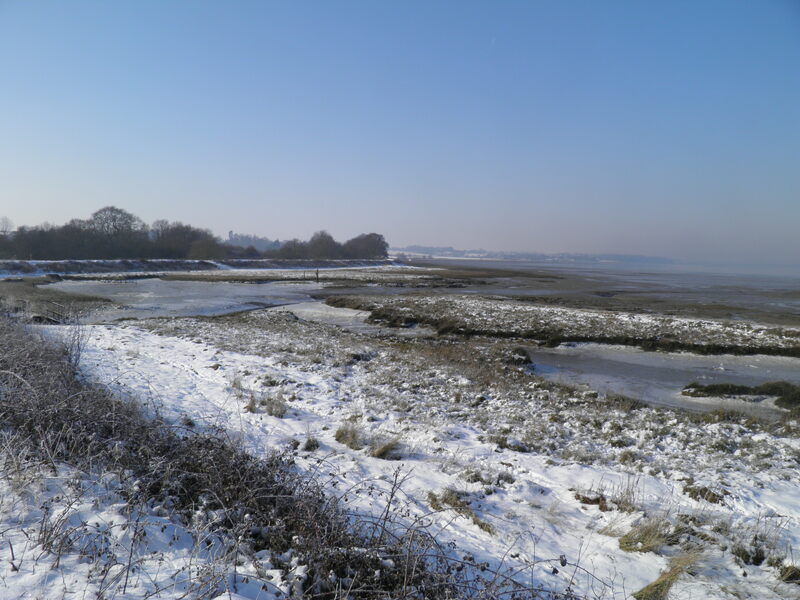 Using a linking path between Lawford church and Manningtree station, the walk can take in the estuary stretch only, with a length of 7 ¾ miles (12.8km) or a circular walk from Manningtree encompassing the Dedham Vale section of around the same length. 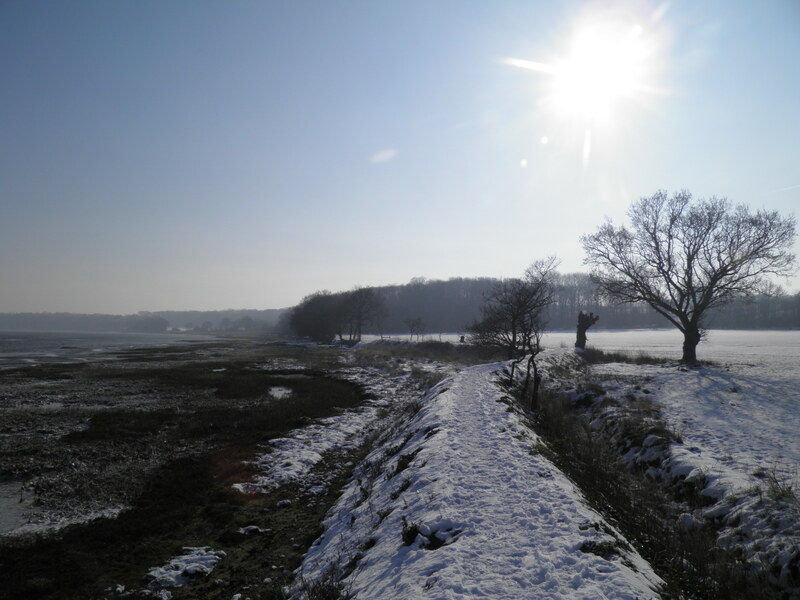 Underfoot: Estuary-side and riverside paths could be muddy at any time of year, as can some of the field paths. Also, stretch of sandy beach. Good footwear recommended. Terrain: No significant climbs or descents. 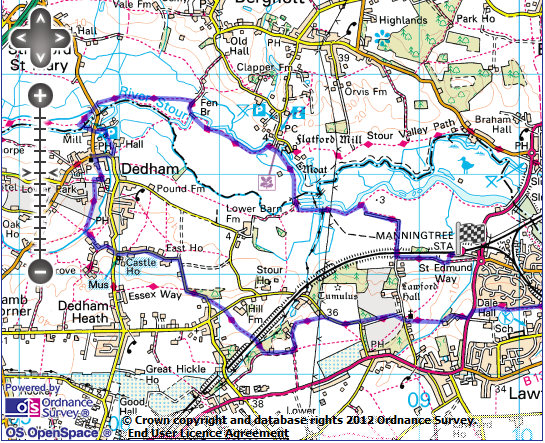 Maps: 1:50,000 Landranger 168 Colchester; 1:25,000 Explorer 184 Colchester and 196 Sudbury, Hadleigh & Dedham Vale. Getting there: Wrabness is situated on the branch line to Harwich, which normally requires a change of trains from London. 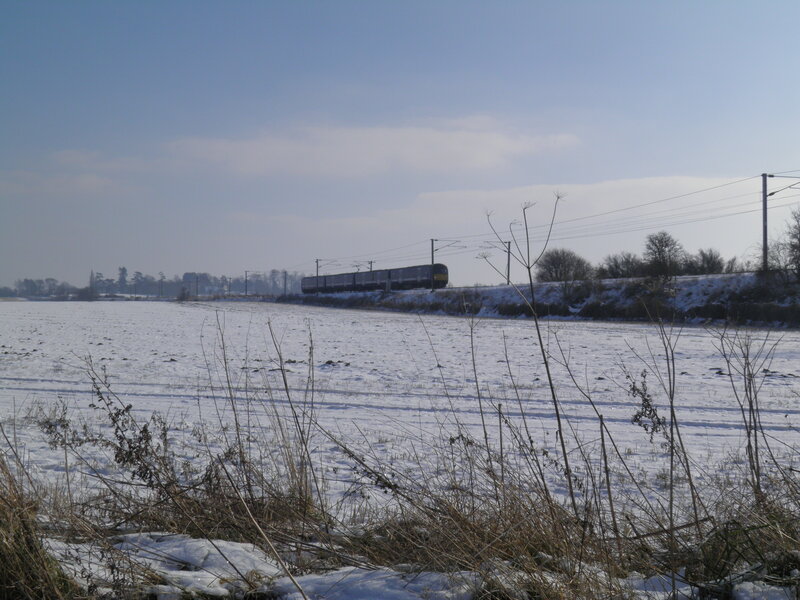 Greater Anglia trains run hourly every day from Manningtree (9 mins) where they connect with frequent services from London Liverpool Street (55-70 mins), usually timed to connect with the fastest expresses from London, giving a total journey time of 69 mins. 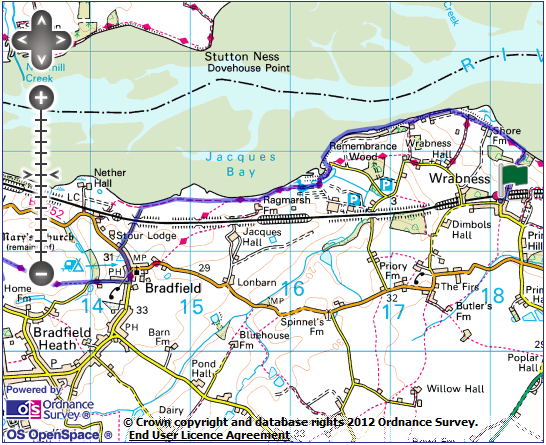 Useful websites: Much of the route follows the Essex Way and the Stour Valley Path. 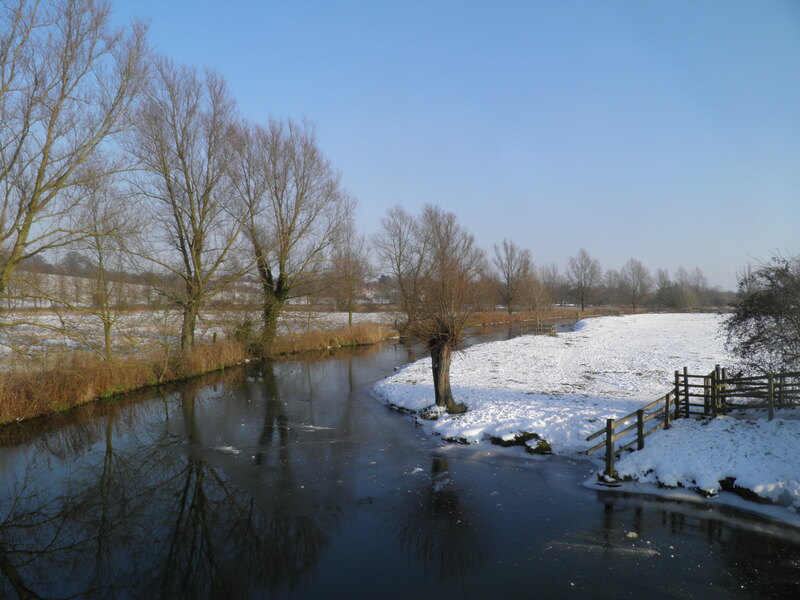 You pass the Wrabness Nature Reserve, the Dedham Vale AONB, the Munnings Collection and Flatford. Getting home: There are 3 Greater Anglia services per hour (2 on Sundays) from Manningtree to London Liverpool Street (60-73 mins). 2 of these services (1 on Sunday) call at Stratford (52-63 mins) for London Underground, London Overground and DLR connections. Fares: Greater Anglia offers advance singles from Wrabness and from Manningtree, but these are rarely much cheaper than a non-advance fare, and lose you flexibility. The best non-advance fare is a Super Off-Peak Day Return to Wrabness for £23 (child £11.50, railcard £15.20). If you choose to do a circular walk from Manningtree, returns to there are a few pence less. The short train journey along the branch from Manningtree is a beautiful estuary run, giving a good preview of the walk ahead. This line (sometimes marketed as the Mayflower Line) dates back to 1854 and originally provided connections with continent-bound steamers in Harwich’s old town centre port. In 1883, the port moved upriver to the much more spacious Parkeston Quay, now the next stop after Wrabness, though it lost that evocative name in the 1990s, for the rather bland ‘Harwich International Port’. Manningtree end of the platform – obeying the colour light signals, and exit the station through its car park. At the top of the rise, turn left on the slightly un-PC Black Boy Lane to recross the railway on a bridge. 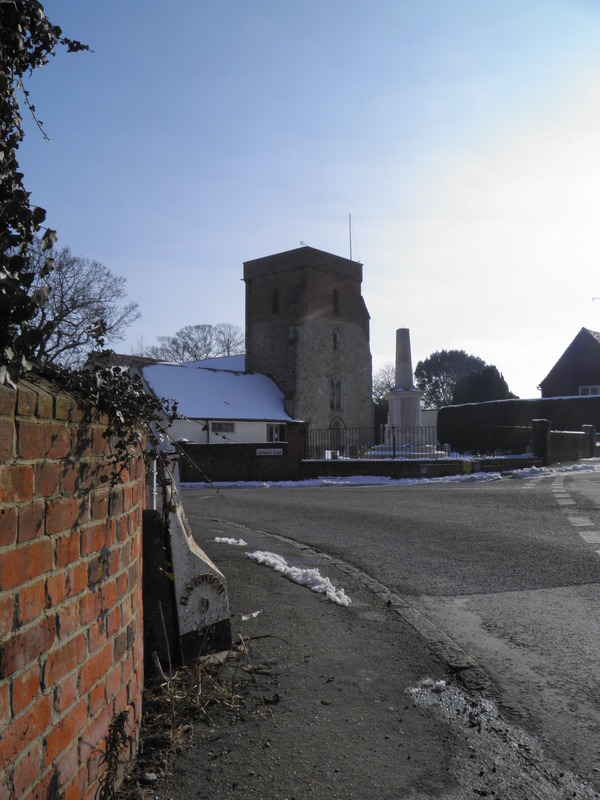 Past the last few houses of the little village of Wrabness and descend on the fenced path ahead towards the estuary, with views to tower and vast red brick buildings of the Royal Hospital School on the north bank and eastwards to the port of Harwich. The Royal Hospital School, which sits in the Suffolk village of Holbrook, is a private school – the largest boarding school in East Anglia – with close links to the Royal Navy – its students are the only ones in Britain permitted to wear naval uniforms. The Royal Hospital in question is the Royal Naval Hospital in Greenwich, and the school originally opened there in the early 18th century, before moving to Suffolk in 1933.
ferries which serve Hoek van Holland or Esbjerg, though cruise ships and container carriers dock there frequently as well. Beyond the port, the Stour reaches the confluence with the River Orwell, flowing down from Ipswich, with the open sea just beyond. Keep right at a ‘Water skiing prohibited’ sign to pass through the dinghy park and onto a sandy beach in front of a long row of beach chalets, of varying sizes and grandeur. Keep to the beach past a wooded headland to reach a second set of chalets. Past the last of these, continue on the beach for another 300m or so. Just before you reach a large watercourse crossing the beach, take a short flight of concrete steps up the levee. Follow the footpath sign to right to keep close to the marshy shore over Wrabness Sluice. Ignore the waymarks to the left just after the sluice and keep to the levee, passing a sign marking the entrance to Wrabness Nature Reserve. 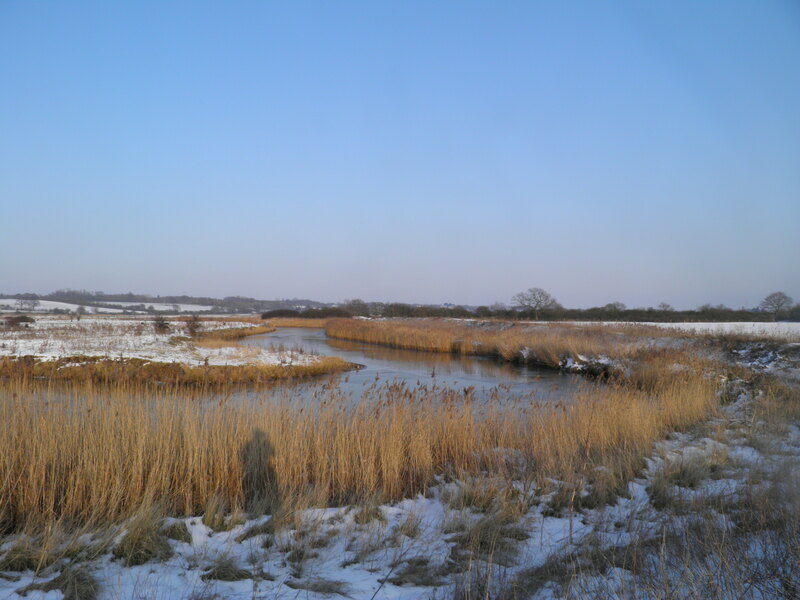 This 60-acre nature reserve, run by the Essex Wildlife Trust, is on the site of a MoD depot used for the storage of sea-mines until its closure in 1963. It covers woodland, grazing land and saltmarsh. On one winter’s morning here, the author saw avocet, oystercatchers, dunlin, green woodpeckers and a kingfisher. Past a hide, the path cuts inland, but almost immediately you turn right on a tarmac path with Essex Way (EW) waymarks through inland part of reserve. At the next path junction keep right to return to the foreshore, following EW waymarks along the edge of the saltmarshes. Pass Ragmarsh Farm with its large wooden barn and continue on the path (often squelchy) which picks its way through the marshes before eventually returning to the beach. Coming to a signpost, turn left on a tiny road (Shore Lane) heading away from the river to pass under the railway line. Still climbing, you soon reach the houses of Bradfield. Home pub, keep straight ahead. Take the first road on the right (Mill Lane), which soon leaves the village. 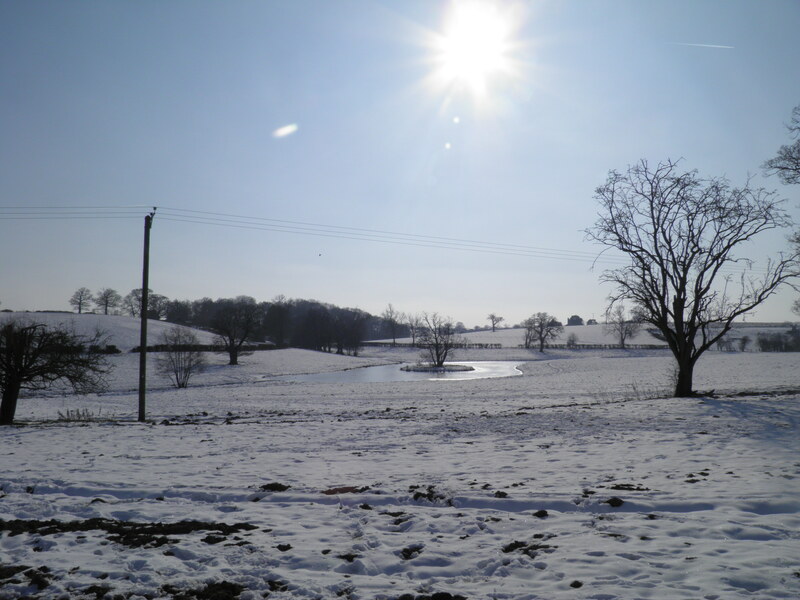 In the valley bottom by a pond, where the road swings left, keep straight ahead on a footpath cutting uphill across the fields. Follow the waymarks across the large hilltop fields, with good views of the Stour valley below. Reaching a road in Mistley Heath, keep straight ahead and then quickly leave it at the right hand corner to head left on a drive (following a footpath sign). 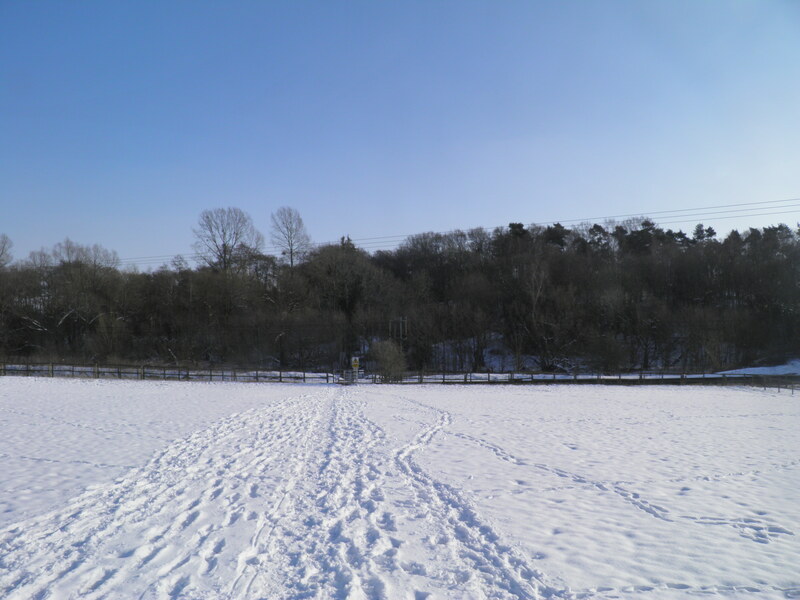 Follow the track to the right in front of Church House Farm and continue straight across fields and into a wood. Keep straight ahead at a path junction, passing rugby pitches, then descending gently through Furze Hill with glimpses of a small lake below to the left. At the edge of the wood, leave the trees through a kissing gate ahead and cross the small valley, with reed filled stream and the chimney of Mistley maltings to the right. Climb out of the valley again, passing Dairy Farm, to enter Dairy Wood. Join the farm’s drive to cut straight through the wood. Where two tracks merge keep straight ahead, and after 100m turn right on a waymarked fenced path past paddocks. 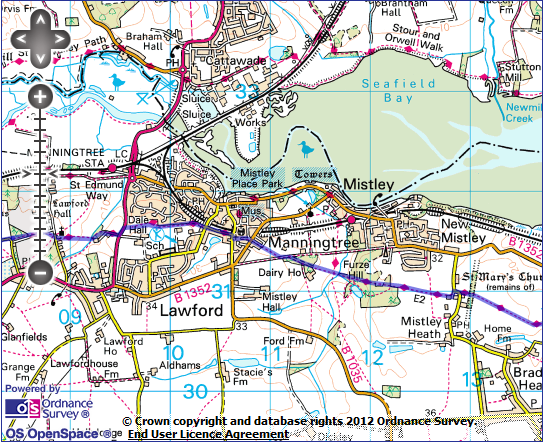 There now follows a short urban stretch through the edge of Manningtree. Joining a gravel track, keep straight ahead past an attractive terrace of Victorian houses. On reaching the road by the derelict Wagon pub, cross and take Barnfield opposite (with footpath sign). At the end of the road take the snicket to the left of a pink cottage to cut through to a second road. Turn right, then left just before a railway bridge onto Mill Hill. The road runs beside a railway, passing a smart Edwardian waterworks. Cross the busy road at the end and take the surfaced footpath ahead. Keep to this main path, running between modern houses and a school. At the end of the metal fence surrounding the school playing fields, take an informal path cutting diagonally ahead to the corner of a housing estate, from where you follow the waymark ahead, dropping into Owl’s Flight Dell. Follow the waymarks through the Dell, below the dam of a small reservoir, to reach the busy A137. Cross with care, and turn left on the pavement. At the top of the rise, turn right on the track next to an electricity sub-station (with footpath sign). stream. At the second kissing gate follow waymarks right, across Wignall Brook and climb the opposite side of the valley towards Lawford church. The path swings around the perimeter wall of the graveyard, past cottages and across Lawford Hall drive. Lawford Hall, some distance from the village it takes its name from, sits on the side of a 16th century house built by an Edward Waldegrave. 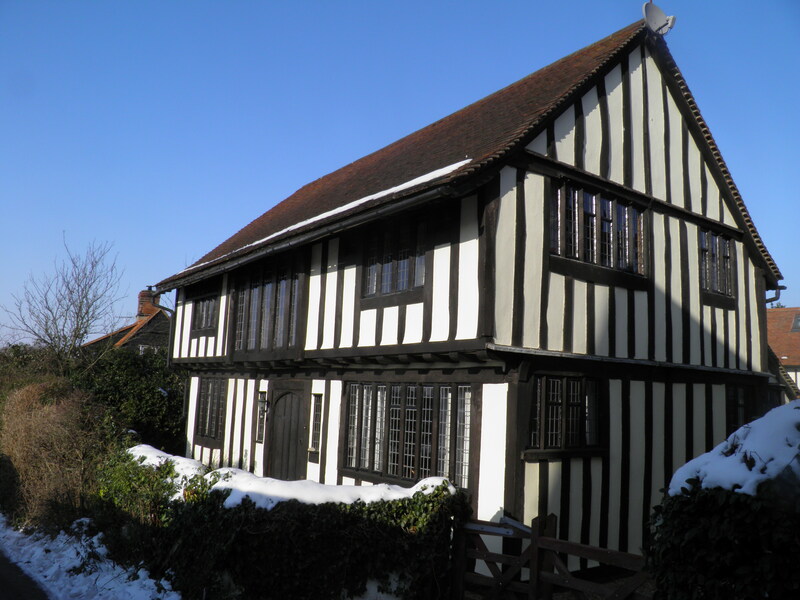 The Waldegrave family, who still live at the Hall, purchased the land from the crown after confiscation when its original owners were found in possesion of ‘treasonable correspondence’ during the Reformation. The Hall was almost completely rebuilt in the 18th century, with the Elizabethan walls still standing behind the Georgian facade. 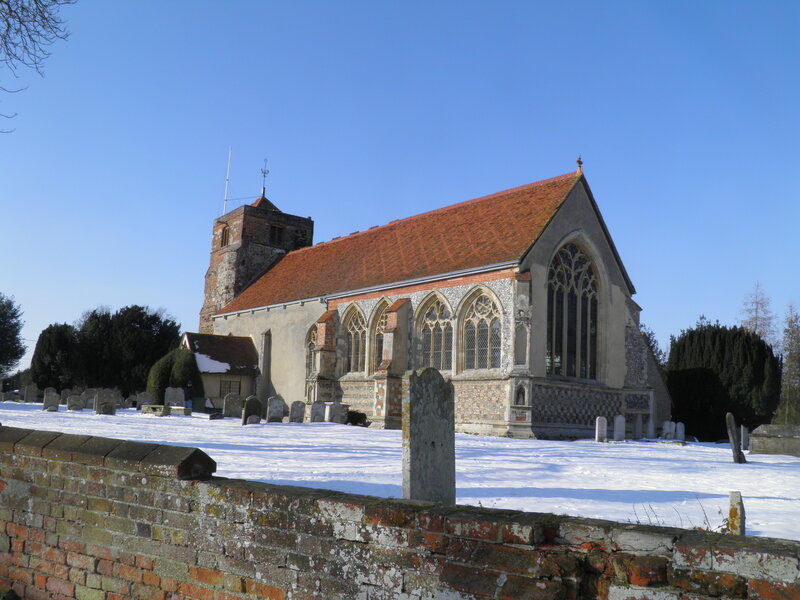 The church of St Mary’s, next to the gate, is even older, with the chancel dating from the 14th century. In the church car park, take the right hand of the two paths signed ahead. Through a gate, you get a brief view of the Hall to the right. A second gate leads you onto a gravel drive which you follow left to Dedham Road. Follow this narrow road – often quite busy – for 300m. Where the road veers right downhill, keep ahead on the footpath leading off Sherbourne’s drive. 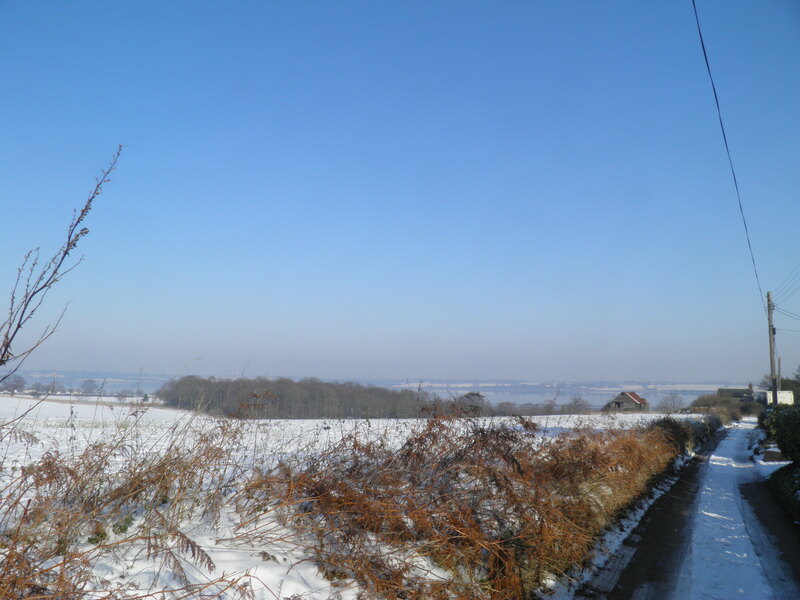 The path follows the lefthand hedgerow, with views ahead into Stour valley. At Broom Knolls house, the path swings left through a gate to follow its drive. Follow this around a bend to the right and then keep straight ahead at a junction (following EW waymarks) past a barn. By Alder Carr’s pond, veer right on a waymarked footpath, dropping through the attractive woods to cross Shir Burn and the railway line running through the small valley (this is the fast and busy Great Eastern mainline, so take extreme care when crossing the railway) before climbing across rabbit-infested paddocks to a minor road. Take the footpath opposite, which cuts across a field to a second road. Turn right and follow this quiet road for 1km, gently dropping to the fine houses on the edge of Dedham. At the end of the road by Munnings Collection, turn right, then immediately left on Coopers Lane. Castle House house the Munnings Collection, showing the work of Sir Alfred Munnings, a prolific painter during the first half of the 20th century. After his death in 1959, his widow devoted her life to collecting his work in his former home. Munnings was part of the Newlyn School, and served as an official war artist during World War I. Follow this small road around a bend to the left then follow a footpath sign right after The Rimes, past an impressive imitation Tudor house. 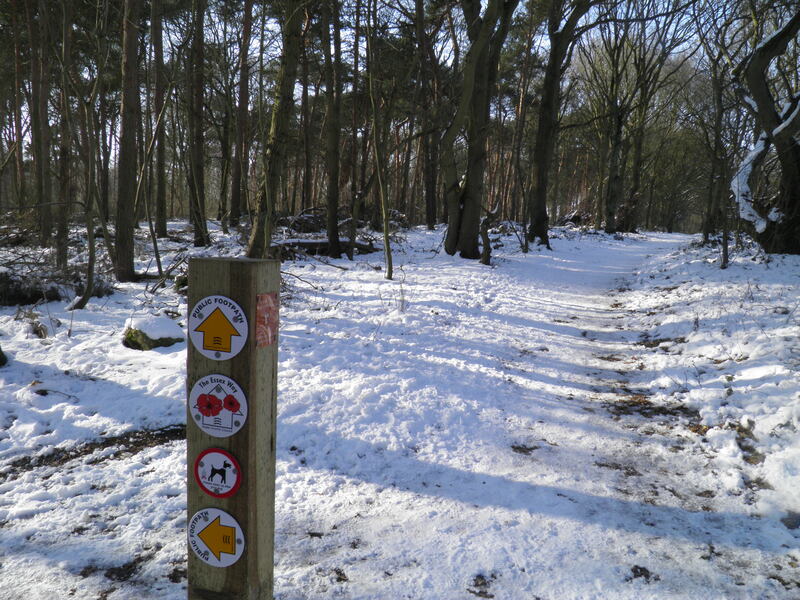 Follow the waymarks to the right past the front of pink Park Farm and onto a footpath. At a junction by the stable yard, keep left (EW waymarks). former parkland. 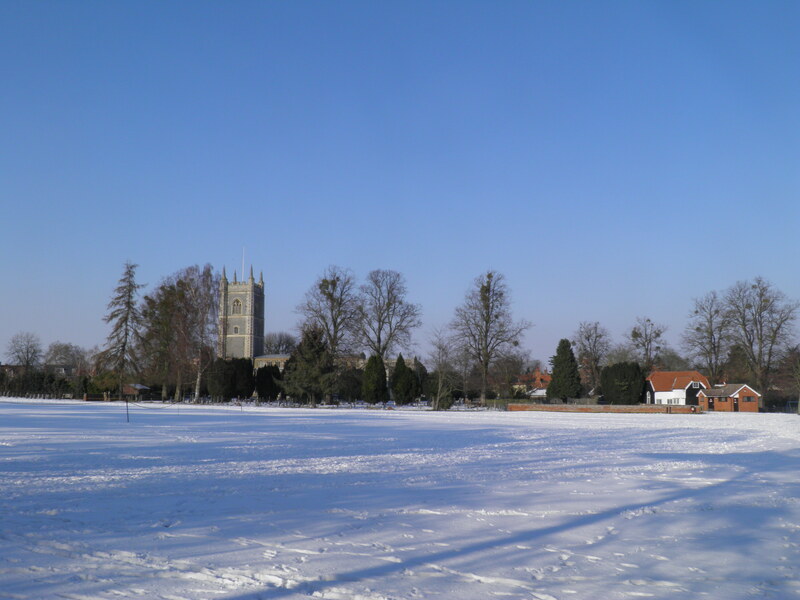 On reaching a sports field with Dedham’s large church tower ahead, turn right to the clubhouse and then left on a path between trees to emerge by the war memorial on Royal Square in the fine historic centre of Dedham, with pub, tearoom and shop opposite. Constable’s The Ascension. 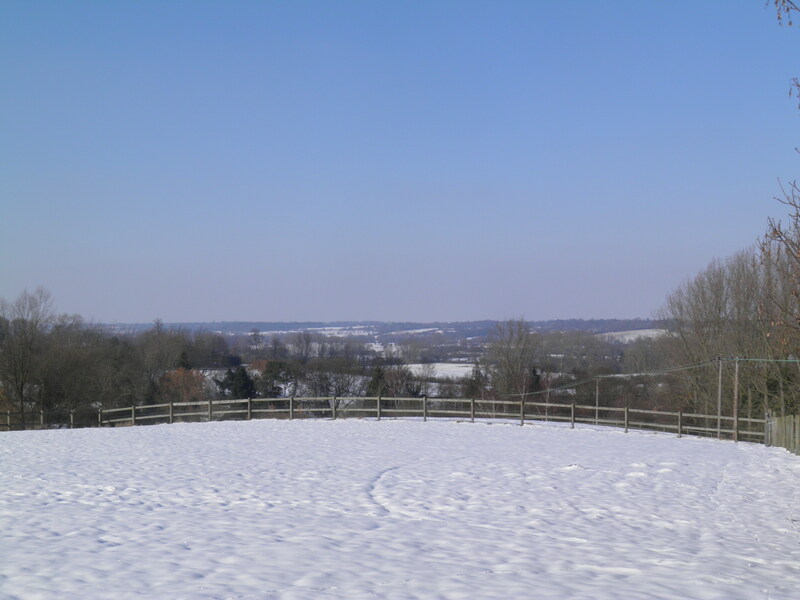 From Easter to September, you can climb to a viewing platform on the church tower for fantastic views of the Stour valley. 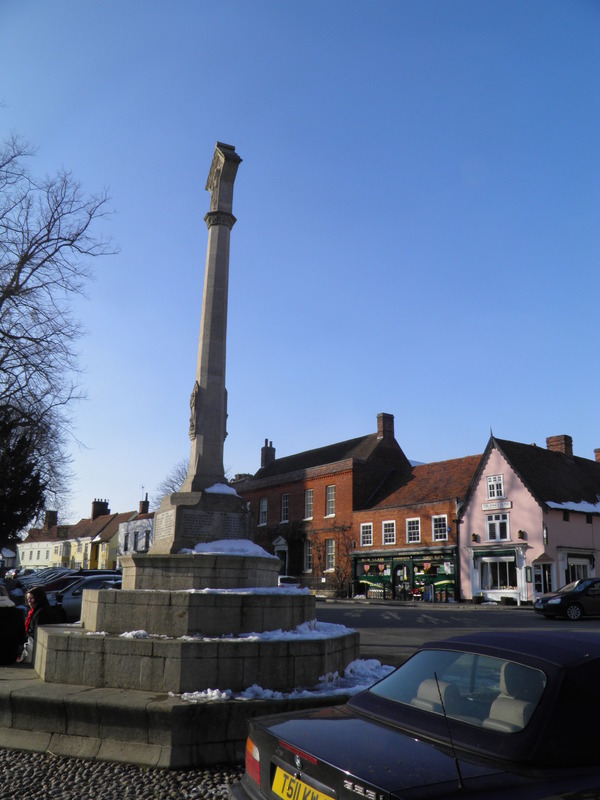 Other major buildings in the town include The Sun coaching inn, the Georgian Assembly Rooms and the Elizabethan-era Grammar School, which Constable attended. Turn right, past the Art & Craft Centre. Where the road bends right, turn left on Dedham Hall’s drive (signed as a footpath to the river). At a fork in the track, turn left through a kissing gate onto a fenced path beside a pond. This waymarked path leads beside a stream to emerge onto a track by a ford. Turn left over the footbridges adjacent to the ford to join a road opposite the large brick Dedham Mill. Cross the road, turn right along the pavement, and after crossing the first channel, turn left at a footpath sign. This leads you over the mill leat and across a bridge by Dedham Lock. navigation, with an Act of Parliament passed in 1705 to provide for navigation rights and improvements to make the river navigable right up to Sudbury. This work included the construction of 13 locks, such as this one at Dedham. The Navigation was very successful, carrying wool and crops to the port at Harwich, and coal inland from coasters. 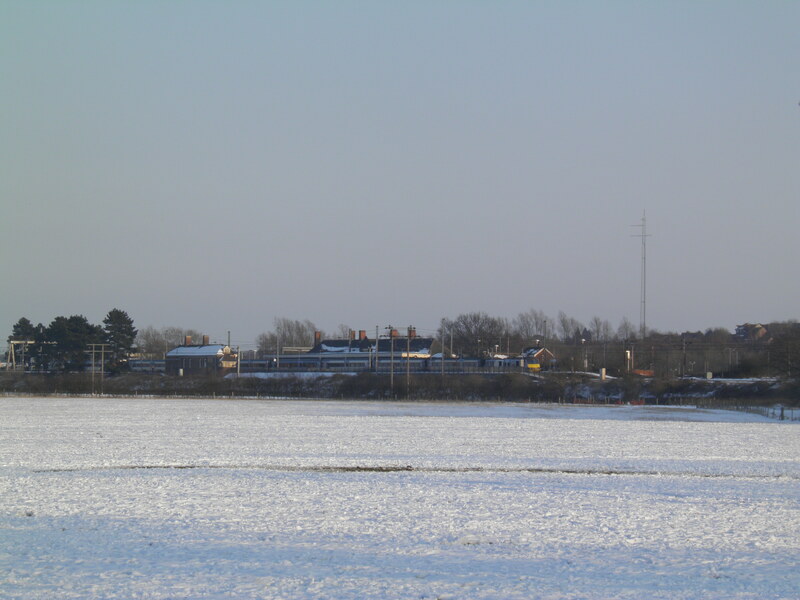 As late as World War II, commercial barges were still working upstream beyond Manningtree. Work has been slowly underway since 1968 to restore navigation right through to Sudbury. On the far side, turn right along the river bank to return to the road. Turn left over the bridge, and then turn right again on the riverside path. Where the Stour veers right, you come to a waymark post. Take the path signed left, leaving the river and cutting across the floodplain to a gate in the hedge ahead. Continue ahead along a lovely tree lined corridor. On reaching a small track, turn right to rejoin the river at Fen Bridge. Cross the river and continue left along, or near, the river bank until the meanders eventually bring you to the footbridge by thatched Flatford Cottage. Cross here to access the visitor centre, the cafe in the Cottage and the Mill (along the lane). 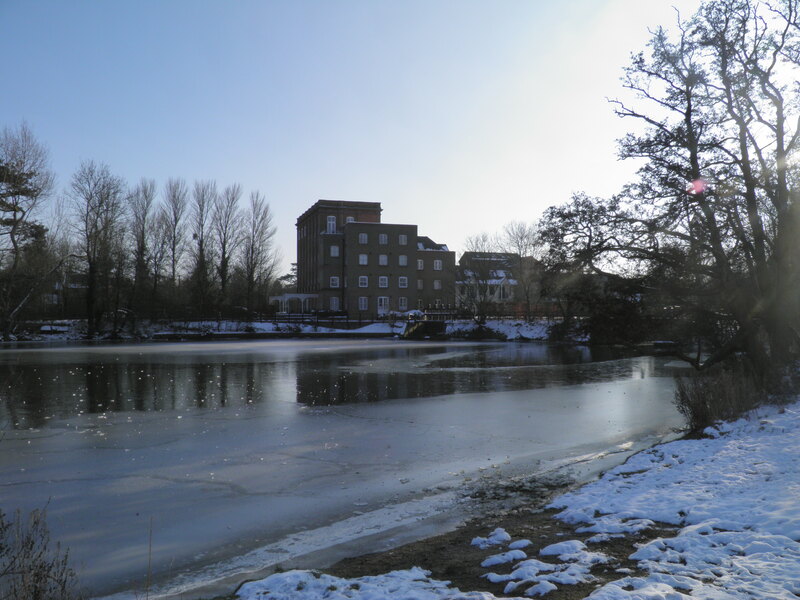 as the location of many of Constable’s most famous paintings, both of the Mill itself and the surrounding landscape. Perhaps most famously, The Hay Wain portrays the view just downstream from the Mill. The cottage in the painting, Willy Lott’s Cottage stands next to the Mill and the view in the painting is easily spotted. The Mill and cottages are now a field studies centre. 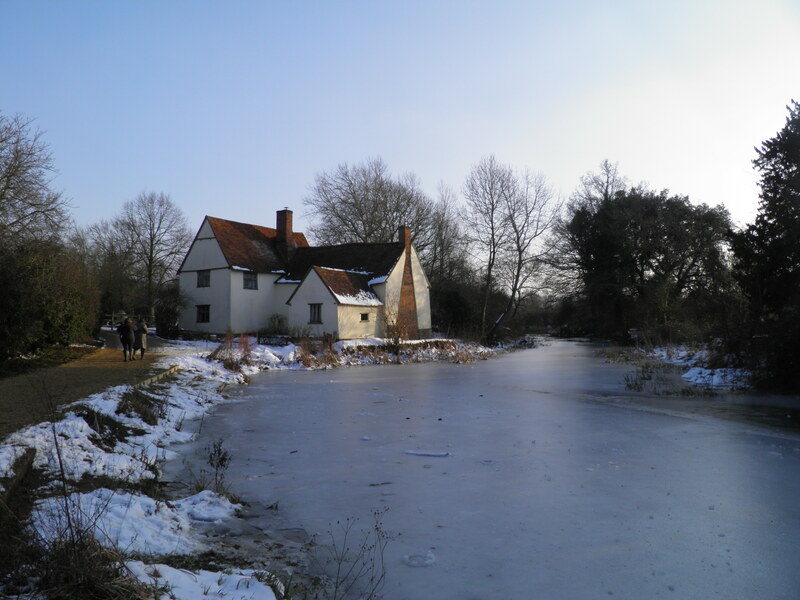 To continue, return to the right hand bank and follow the path downstream, passing Flatford Lock and the Mill on the opposite bank, the path soon joining a levee and running at a little distance from the river. At a large sluice structure keep ahead along the length of it and at the far end turn left (following footpath sign to Manningtree). You are now in a much more open valley, with large reedbeds along the Stour and sheep grazing the pastures. After about 800m, follow the footpath sign pointing right to ‘Manningtree station’. This path soon joins a straight track between hedges which you follow to the left. This eventually turns sharply to the right to pass under the railway line. Immediately after the railway bridge turn left on a tarmac lane below the railway embankment. The road curves around the large station car park. You pass a path to the right signed to Lawford and just afterwards turn left on a short path to the station. 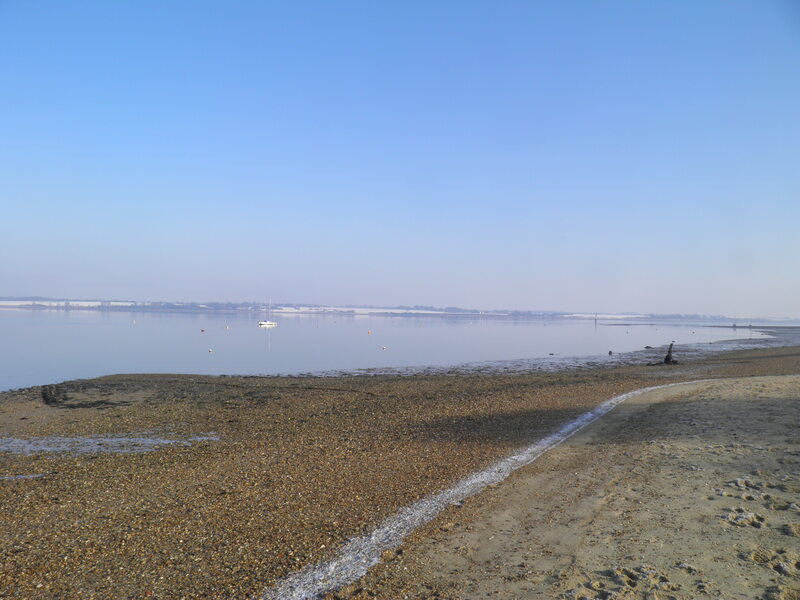 The stretch of beach in front of the beach huts at Wrabness is private land, there is no footpath there. Not accessible at high tide.